Darussalam Education Centre formally known as the Seven Tree Public House. A small community of foresighted visionaries purchased this public house and developed into a Mosque & community education centre thus begin a new era in Blackburn, known as Darussalam Education Centre, also known as DEC, it is a community mosque in Blackburn, Lancashire in the United Kingdom. As well as being a Masjid (mosque), the institution is also an Education Centre. The institution also aims to provide education for the wider community, not just Muslims. The aim is to ensure community cohesion. This has been done before by holding English language classes for high school children, along with an organisation called Women’s Voice thereby providing an important role in education and nurturing of our future generations. During the research phase, we liaised with DEC so we could get a better understanding of their goals. We quickly realised that DEC wanted a website similar to schools and colleges but more basic. They wanted to upload content that can be downloaded and have real time information uploaded. We made the homepage into a real time information page where users can see easily see when the next event or workshop is alongside the monthly prayer timetable. We took aboard DEC’s idea of having downloadable content and have made a separate page for this area. All the information that DEC wanted their users to see are on the main header. 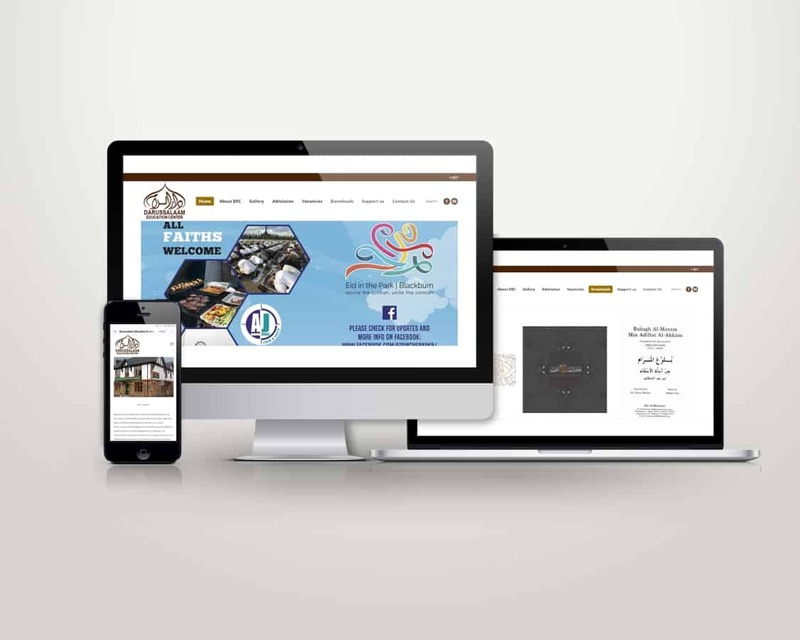 This website is fully responsive and users can navigate through the website on desk top or even their mobile phones.